President Barack Obama and Judge Sonia Sotomayor, his Supreme Court nominee. Like the president who picked her, Sonia Sotomayor’s nomination to the Supreme Court manages to be both historic and conventional. By choosing an up-from-poverty Latina to serve on the high court, President Barack Obama has again swept away historic barriers of race and ethnicity. “He’s once again telling America it doesn’t matter where you came from,” said Rep. Xavier Becerra (D-Calif.). Yet in picking the candidate whose name surfaced within hours of first leak about Justice David Souter’s retirement, Obama is also demonstrating the same profile in caution that has colored previous big decisions, such as who to name as his running mate. George Washington University law professor Orin Kerr called her “a liberal mirror image of Samuel Alito” – a child of the meritocracy with a resume that is big on credentials and low on controversy. 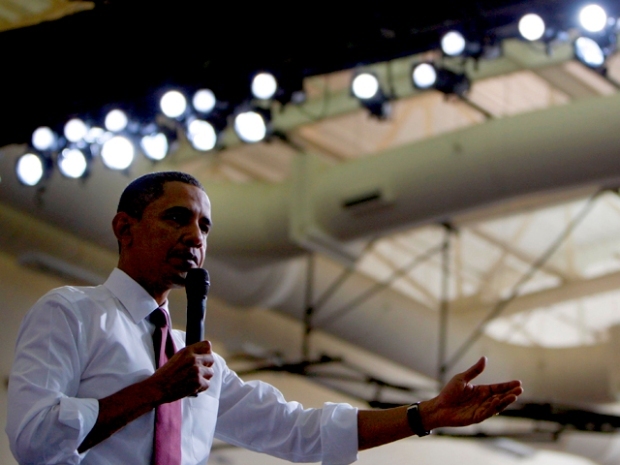 It’s hard to be breathtaking and boring, but Obama somehow finds a way. A senior administration official acknowledged that Sotomayor’s history-making credentials as a “positive thing,” but the official and the White House talking points focused even more on her humble background. But there are other qualified justices who weren’t born into wealth that don’t happen to be both female and Hispanic – two groups that this White House fought hard to win over after the heated Democratic primary and are consumed with keeping in their corner heading into their re-election. So while Sotomayor strikes a blow for racial equality and makes another important institution more reflective of America, her nomination is also a reminder of the power of identity politics. Obama aides insist that the president merely picked the person he thought would be the best justice and Sotomayor’s experience on the bench negates the notion that she was only the recipient of electoral box-checking. But, taken together, the combination of her personal attributes and an extensive legal background make for an appealing package. This is a president and a White House that know how to do stagecraft. 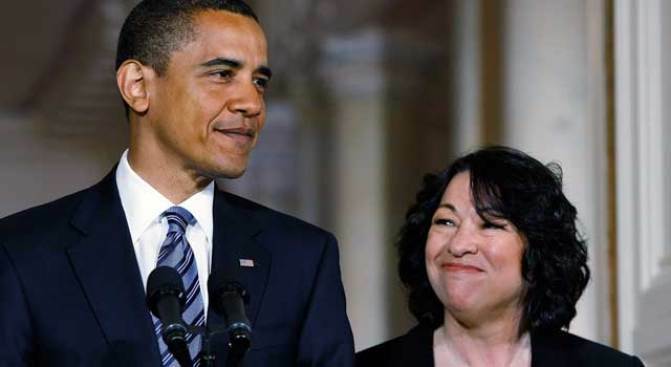 The introduction Tuesday morning of Sotomayor, with Obama telling of her improbable life story and the judge’s own tribute to her mother, was heart-rending and will immediately pose problems for Republicans who may want to oppose her. “I can’t recall a Supreme Court pick announcement that was that powerful as a piece of messaging,” said Shrum. In the western part of the country, where many Hispanic families were just sitting down to breakfast when Sotomayor took the stage, some literally “jumped up and down for joy,” recounted La Raza President Janet Murguía, who was fielding ecstatic phone calls and emails all day. As meaningful as the pick is for both Hispanics and as a marker in the country’s progress toward racial equality, it’s not exactly bold in the tradition of LBJ appointing the court’s first African-American a mere three years after blacks were guaranteed equal rights under the law. If he had wanted to take that course, Obama could have chosen the nation’s first openly gay Supreme Court justice, for instance. But now it’s Republicans who are the ones that could face political consequences should they consider blocking this historic first. Sotomayor is already meeting with resistance among many conservatives, but that she’s an acceptable liberal instead of a controversial radical is being affirmed by the majority of Republican senators who are issuing statements of caution instead of concern. Obama, with his usual combination of professorial coolness and political calculation, has stayed within the judiciary’s 40-yard lines while also squeezing the opposition in a manner that would make a Chicago ward heeler smile. Publicly and privately the White House made clear to outside advocacy groups and individuals that it did not appreciate their lobbying efforts. But that didn’t stop Obama from responding to the pleas of Hispanic organizations and lawmakers by naming a Latina. As the largest minority in the country and a key political demographic in much of the west, Hispanics felt they deserved to have one of their own finally on the bench. And though they sought to downplay the politics of the pick, Obama’s advisers know it’s a point of pride in that community and that the historic selection will find its way into many a Spanish-language mail piece three years from now. A top Democrat close to the White House said the president made his choice on substance but was candid about what it means for 2012. “For those of us who think about electoral votes, we feel kind of good about it,” said the Democrat, rattling off one swing state after another that have sizable Hispanic populations. There was a reason, then, why Robert Gibbs said at the White House briefing Tuesday that the president would speak about his decision on his fortuitously-timed trip to Las Vegas.